If you were to walk into your company today, where would you find your corporate values? In the employee handbook? Hanging on a plaque in each room? Is your HR department protecting them? Regardless of where your core values may be found; they’re all empty promises if you as the business owner aren’t modeling them through daily office behaviors. As a business owner, you’ll find yourself flip flopping in and out of other operating roles. Especially when pulling together your team to find out what your company stands for, besides the products/services it sells. In today’s post we’ll be taking a look at your core values, from the position of one question; Why? Why do we stand for these purposes and HOW do we make sure these purposes are off the wall and walking around the halls? 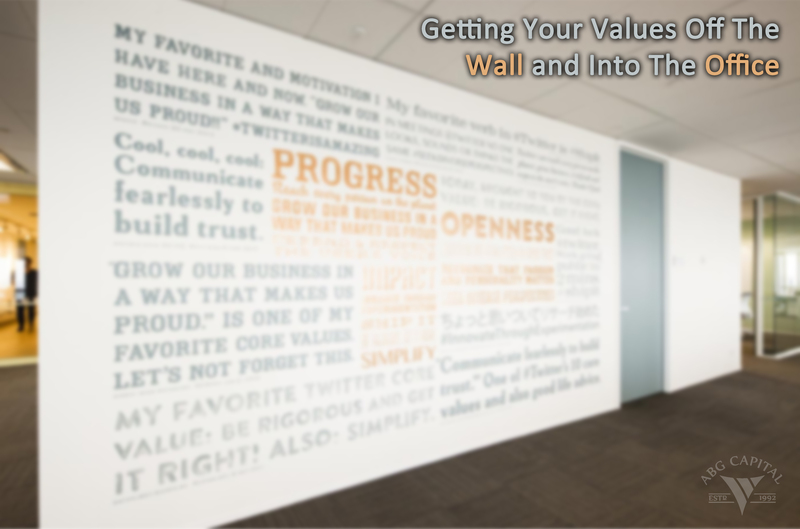 “Are our core values off the wall?” We all know what core values are. I discovered, in my college internship that core values aren’t as “ugly” or monotonous as my business planning classes made them out to be. Core values should be thought of with emotion. They should be a result of the cerebral planning process that is left out of the business plan. They should be looked at from within. It sounds a little silly, but really, look at your business as a whole in the mirror and tear yourself apart. What’s good about you, what isn’t? Core values are how your customers and the people you hire are connected. They’re why they buy from you instead of your competitors. Measure how the leader demonstrates the value: Needs improvement–Delivery of commitments are inconsistent. It’s unfortunate that part of the reason why businesses fail is because of their poorly executed core values. Internally and externally, if your partners in business don’t share the same purpose–and if they don’t share the same values–it will be difficult to make any progress. The same goes towards your employees. These core values you have so proudly displayed on almost every wall need to keep your employees unified. If your employees don’t understand your values and purpose as a company; chaos could be the result. Ask yourself why? Why are you doing what you do in the first place? How are you doing what you are doing? Keeping that WHY at the center keeps the focus on those core values you set in place for your business. Where are your core values being carried out? 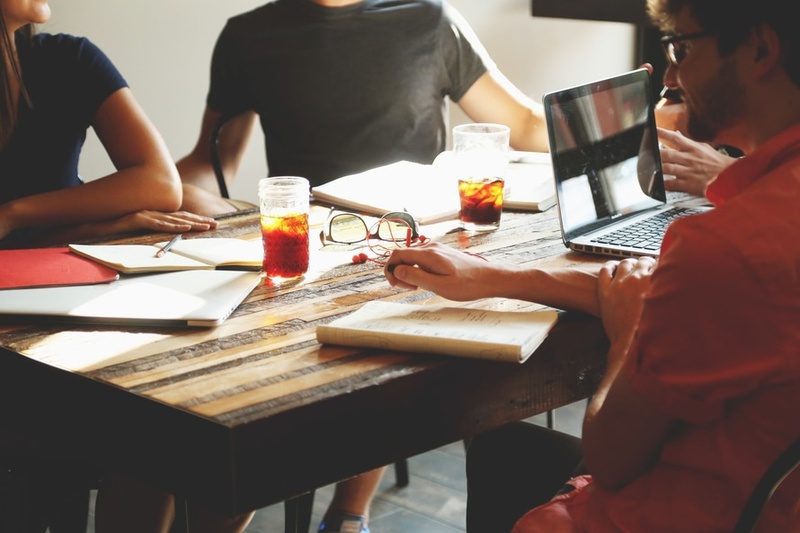 Assembling a team of like-minded partners and employees that understand your WHY keeps those words you have plastered all over your office walls in the discussions where critical decision making takes place. As well as in the break room during lunch. Make your core values a navigational practice for your business. Bringing in your WHY when hiring will assemble a team of like-minded employees. Hold your core values as a high priority during the interview process and watch reactions. What about your preexisting employees? Employees can be looked at in two ways: Those who have high values and those who have low values. Those who have high values might need to be trained to have better performance. Those employees who have low values, even if they have high-performance, should be relieved from the company. They become toxic. This is where most companies go wrong–they base everything on performance and not the culture. Without letting your employees know where you stand through your meetings and team-work events, your employees won’t know where you stand. So be straight with your values first and then measure performance. So next time you walk into the office take a look around. Each day keep an eye on where your core values have bounced to next. You may be surprised, but you’ll certainly feel satisfied.